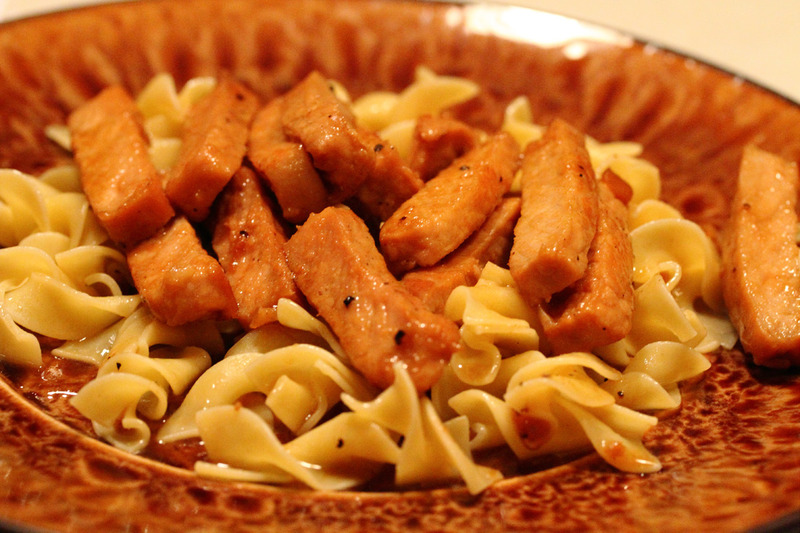 Apple Cider Pork, low carb version. Sweet apple cider and ginger really compliment pork. Lightly brown the pork in olive oil over medium-high to high heat quickly so the pork doesn’t get tough. I hope you enjoy this if you try it. If you do, let me know how you change it up! 4 Pork Chops about 1/2 to 3/4 inch thick. Salt and pepper chops then brown quickly and lightly in olive oil over high heat. Once browned, lower heat to medium and add beer to deglaze the pan. 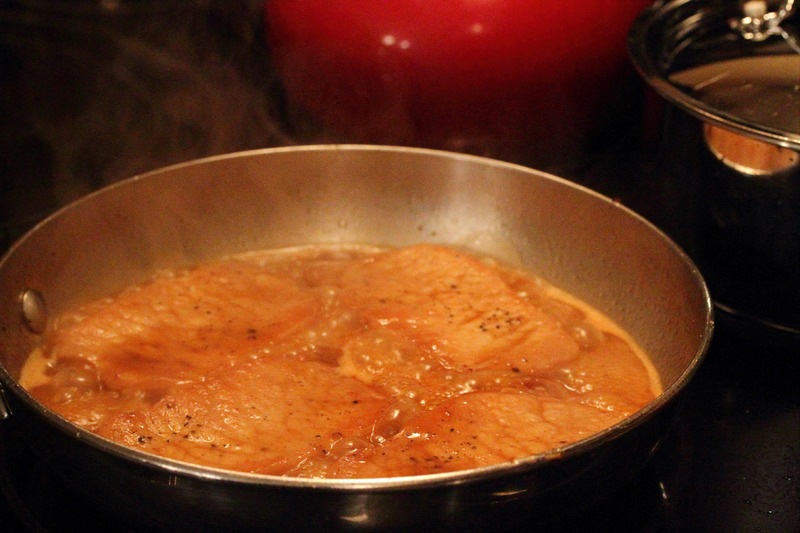 Then add butter, soy sauce, ginger and cider and simmer for 10 minutes or until sauce is slightly thickened. Slice chops and return to pan to coat. If your sauce is too thin, add flour or cornstarch in a bit of cold water to thicken. I try to keep my carbohydrates down so I didn’t thicken the sauce. 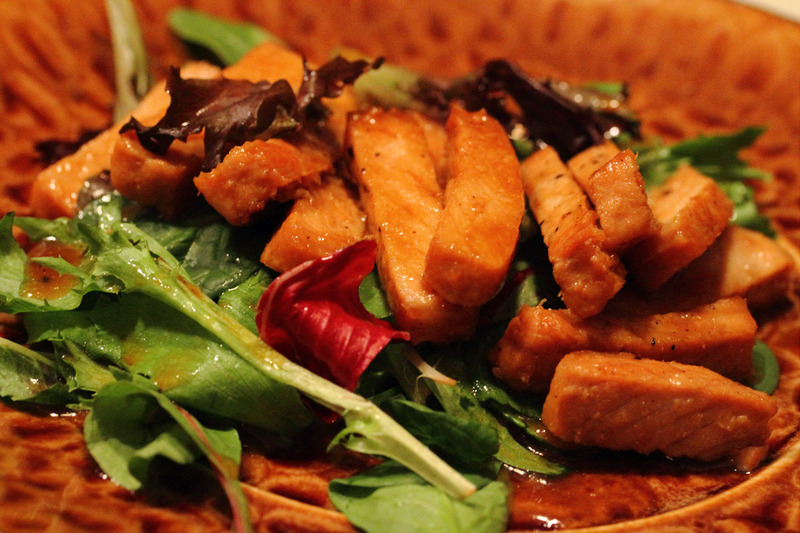 Serve over egg noodles or a bed of mixed greens if you like to keep the carbs down.